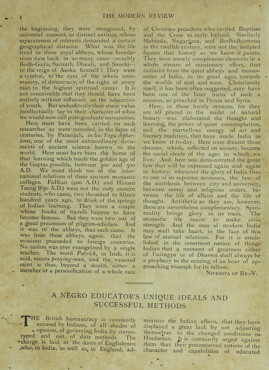 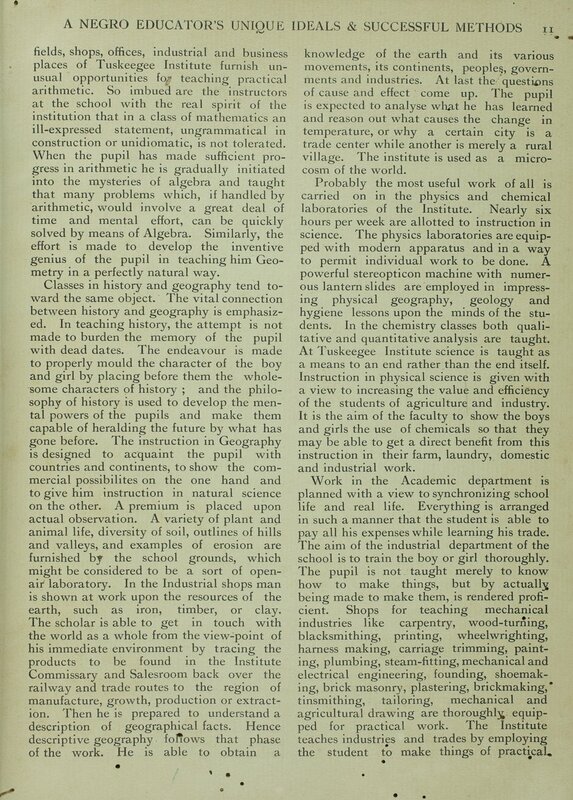 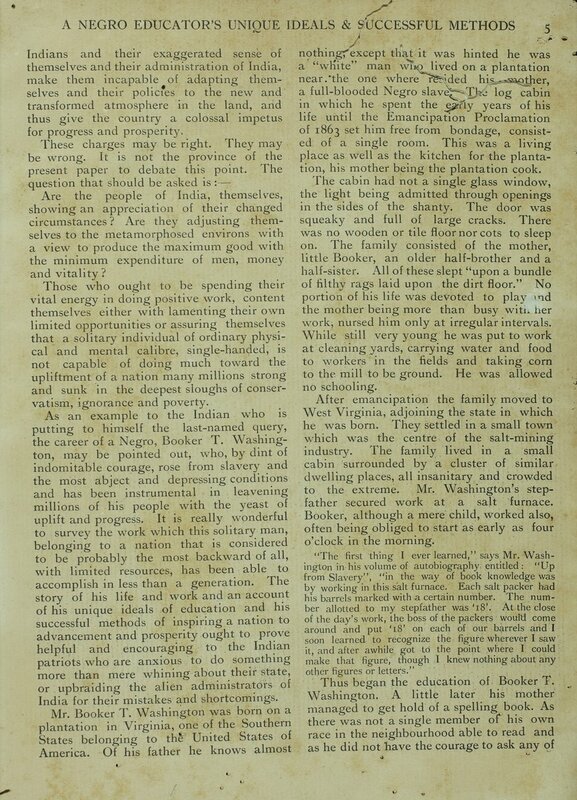 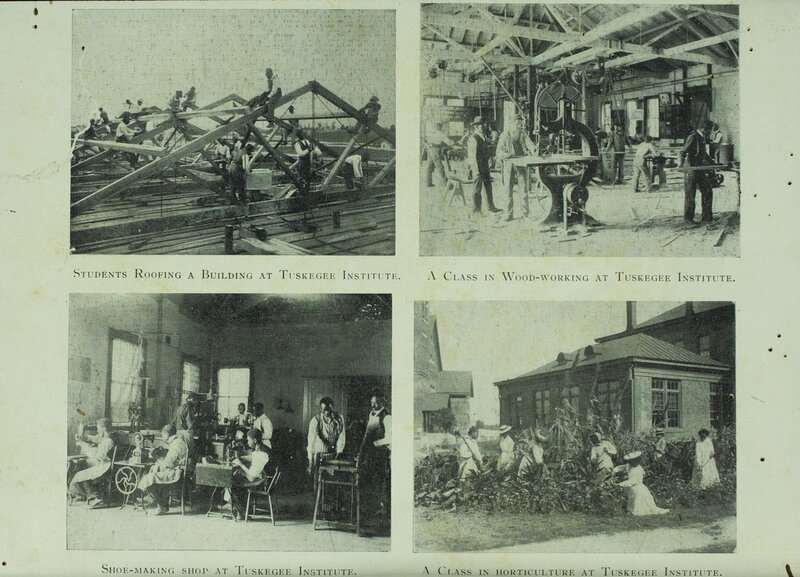 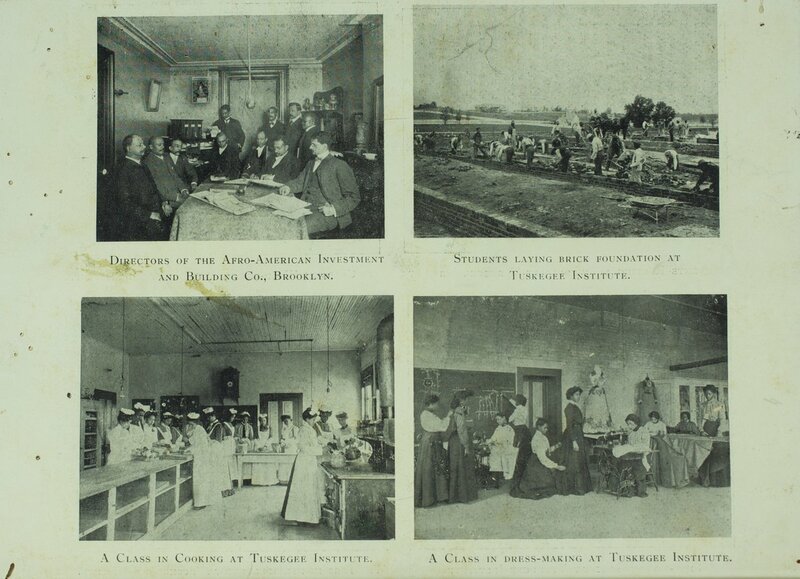 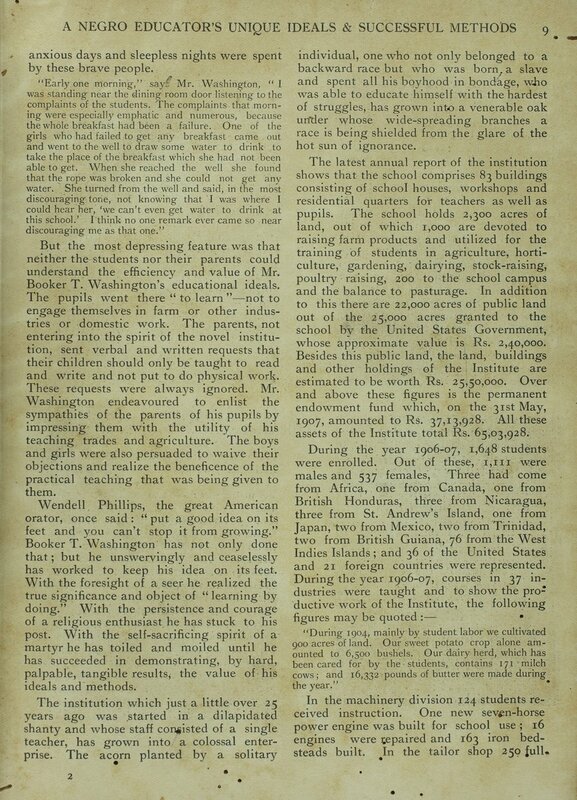 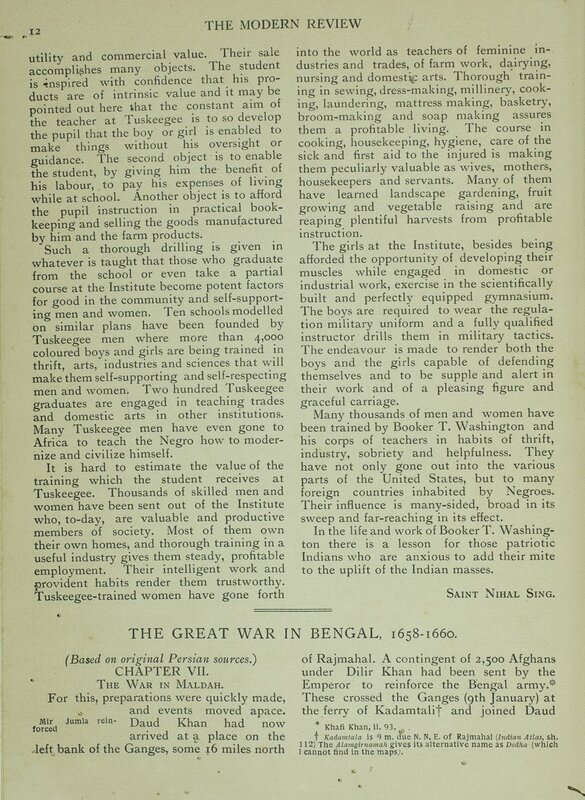 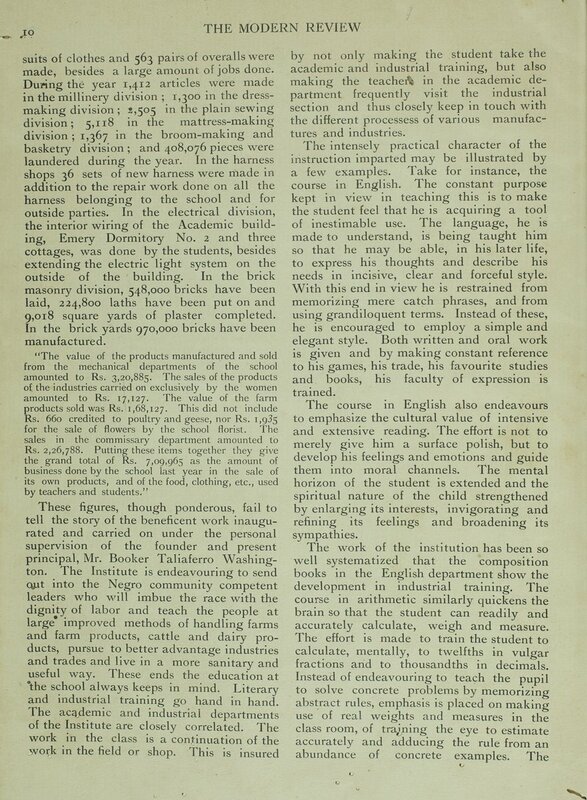 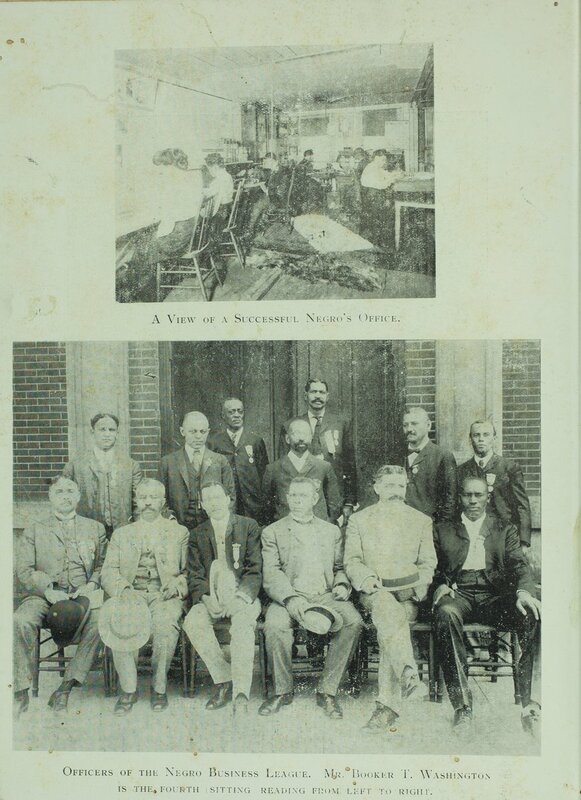 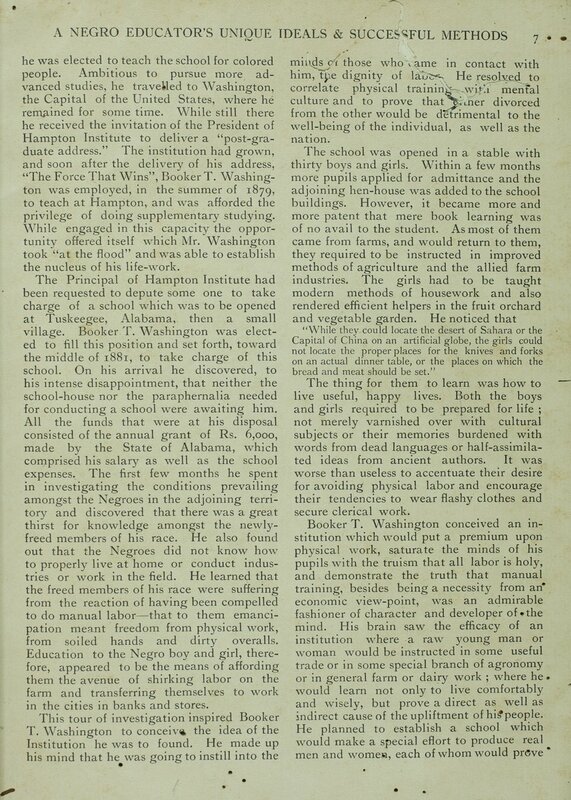 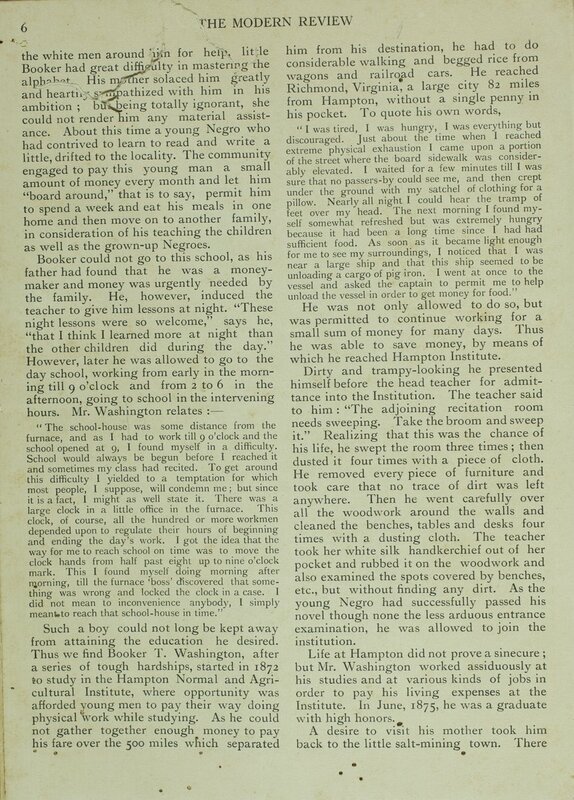 Article by Saint Nihal Singh, published in the January 1908 issue of Modern Review, which profiles the Tuskegee Institute, its leader Booker T. Washington, and his efforts towards providing technical education for African Americans. 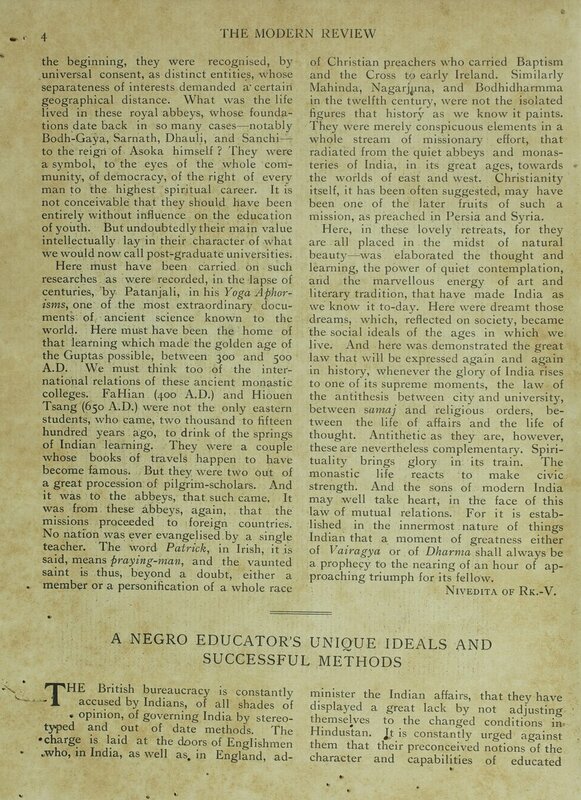 Sing ends the essay with a call to "patriotic Indians who are anxious to add to their mite to the uplift of the Indian masses." 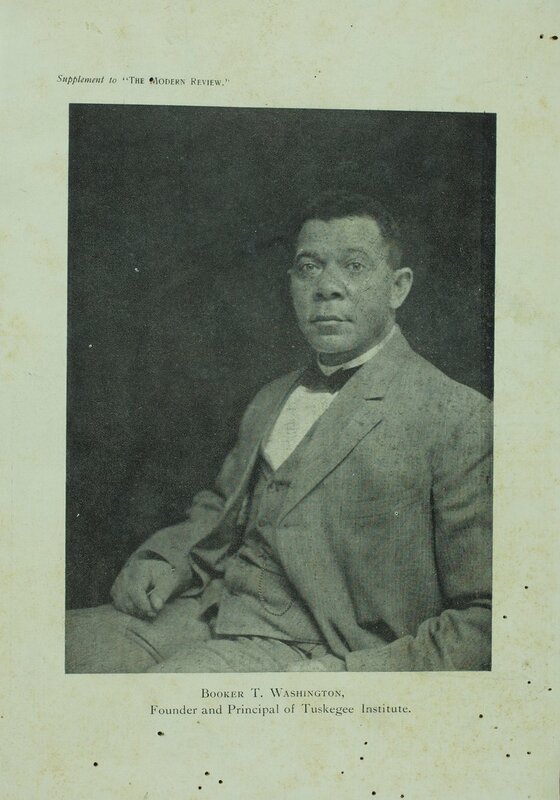 Includes several photographs of the Tuskegee Institute, and a portrait of Booker T. Washington.